Over the past several years, a new species of alternative rock has emerged, characterized by bands that embody a “technical-meets-catchy” approach to making music. Last year, several more high profile bands of this ilk released full lengths; Circa Survive‘s Blue Sky Noise, Tides of Man‘s Dreamhouse, and PMtoday‘s In Media Res all garnered strong critical and consumer reception. So perhaps it’s surprising that, thus far, similarly-styled albums have been so rare in 2011. 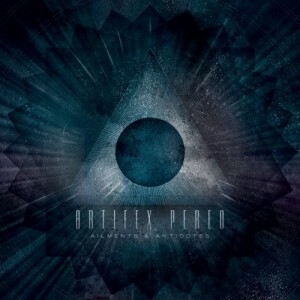 Yet even so, Artifex Pereo‘s Ailments and Antidotes is an undeniable testament to the sub-genre’s well-being. Ailments and Antidotes opens with “The Baker Act”, a track that demonstrates both the band’s musical aptitude and frontman Evan Redmon’s impressive vocal range. Arpeggiated guitar leads introduce Redmon’s high, emotive tenor, soon swirling into an ambient section complete with twinkling piano, before an organ glissando transitions the band back into high gear for the chorus. It’s the same “loud-soft-loud” formula many of these types of bands thrive on (and often over-utilize) but the execution and instrumentation is so precise that the track involves, rather than bores, the listener. The lyrics are really the only negative (albeit a minor one); Redmon emotes, “Your poison is the scent that saturates the air/Grab your clothes and head for the back door before the devil knows you were here”, and though poetically phrased, the sentiment is a bit trite. In fact it’s difficult not to recall Anberlin‘s “The Feel Good Drag” (“Your lips, your lies, your lust/Like the devil’s in your hands”), because the songs are so extremely thematically comparable. The next three tracks are all heavier tracks, similar in sound to “The Baker Act”. Of these, it’s “Suburbanite Sprawl” which excels the most. The groovy guitar riffs are reminiscent of The Chariot in the noisier parts of the tune, and snaking bass fills and sychopated drumming demonstrate the rhythm section’s capability. Redmon is at his most versatile here, soaring into the upper reaches of his range with ease. However, at this point, due to the congruent sound of the first four tracks it’s easy for the listener to infer that the rest of the record will be more of the same. But the catch is that such an assumption would be incorrect. The middle portion of the record focuses the band’s talents on much more ambient, softer tracks. It’s this that gives Ailments and Antidotes the variety so many albums of this manner (including Artifex Pereo’s own debut EP, Am I Invisible) lack. And what’s more, the added variety doesn’t at all detract from the quality of the record. Because, despite the difference between tracks like “Butcher Hands” and “Mrs. D” and tracks from the first, heavier section of the album, it’s clear that the same band composed this entire collection of songs. Not to mention that Artifex Pereo are more than competent at performing this softer sound. In fact, “Devil and Water” is probably the best song on the record, bringing to mind the ambient sections of Circa Survive’s Juturna with its noodling guitar lines. It doesn’t hurt that it’s also the lyrical apex of the record; Redmon tells of an unhealthy relationship, singing, “Loathing you proved to be inadequate, so I will love you in my sleep and this will be less of a burden on me.” It’s hardly a novel concept, but the word choice and vocal delivery cause the words to ring startlingly true. Yet, perhaps in an effort to avoid boring listeners with a heavier musical taste, Artifex Pereo revert back to the sound found at the beginning of Ailments and Antidotes for the album’s closing two tracks. While neither are as memorable as “The Baker Act” or “Suburbanite Sprawl” both hold their own and finish the album nicely. It’s interesting that in a scene where so many bands utilize the “loud-soft-loud” formula to writing music, nary a single one has crafted an entire album in the same format, as Artifex Pereo have done here. And Ailments and Antidotes certainly proves it is a blueprint that, when followed by a skilled band, can be very successful. Note: Evan Redmon is no longer the vocalist of Artifex Pereo. You can check out a video of the band playing an acoustic version of “Edgar Suit” with his replacement, Lucas Worley, below. Listen: Suntrapp - "All The Seas"